Circle of Security Parenting is an 8-week program designed for parents with children under age 5. 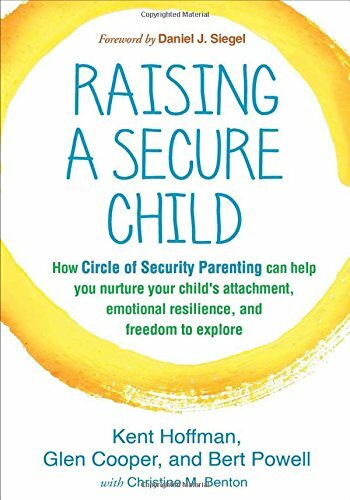 Developed by Bert Powell, Glen Cooper, and Kent Hoffman, psychotherapists from Spokane, Washington, the Circle of Security theoretical framework and interventions are used to help parents all over the world. This program is wonderful for parents who have toddlers and young children with confusing and difficult behaviors. Typically, it works best for parents with children under age 5, but I have successfully helped parents with kids in elementary school as well. The most powerful way to experience Circle of Security Parenting is in a group of about 6-8 parents (individual or coupled). In order to maintain fidelity to the COS-P program, I use information from a DVD for about 15-30 minutes of our sessions, then spend the rest of the time in discussion. Plan for 90 minutes each session. Babies in arms are welcome to accompany parents, but parents will find it challenging to have older children in the sessions with them. Dates and times: All dates and times are flexible, and may change based on interest. Let me know if you are interested and cannot make the proposed days and times.